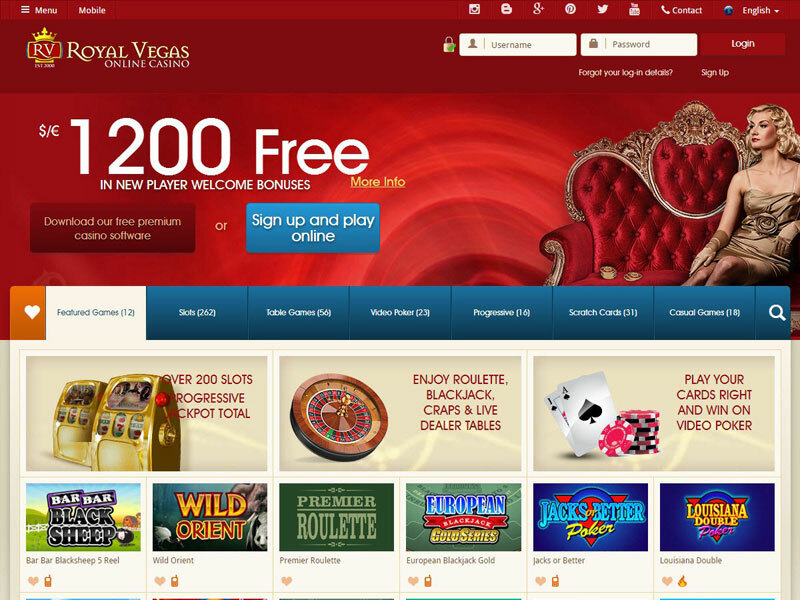 CasinoBonusNews → Casinos → "Royal Vegas casino"
The Royal Vegas Casino is an online Microgaming powered casino that offers players with up to four hundred casino games. Even though Microgaming offers such a large number of games, it is up to the casino to choose which games they want to offer their players. The one good thing about the casino is that they do offer both the download version and instant play version of the casino. The instant play version is available through your web browser, but the only downside is that it comes with minimal graphics and sound quality. For the best graphics and sound quality for your casino experience, you want to try out the download version. Simply install it on your computer and create an account online and you’re good to go. The new player casino bonus is currently valued at $1200 with a free 75 spins for the slots. 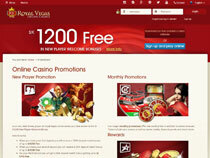 The welcome bonus will be given to any player who joins for a real money account with the casino. Apart from this opening bonus offer, players can earn additional rewards from the weekly and monthly promotions as well. On occasion, you may get the chance to earn some extra money from the deposits you make or from the games you play. As a regular player, you want to keep track of the different promotions the casino has going on. The VIP program is another way to earn rewards and points without having to rely on deposit bonuses. The only thing you need to keep in mind is that the VIP program is by invitation only. This Microgaming casino offers players with wide range casino games including progressive games, table games, slots, video poker and online table poker. For those of you who love playing for tournaments; you’ll enjoy the casino tournaments that are hosted by the Royal Vegas Casino. The large selection of table games and its several variants are something new players should look into. A few of these are blackjack, roulette, craps, keno, baccarat, poker and war. Apart from these, you’ll find multiple slots and progressive jackpot games. A few of the progressive games include Mega Moolah, Cash Splash, Major Millions, Treasure Nile, King Cashalot, Caribbean Draw Poker, Triple Sevens and Fruit Fiesta. The different banking methods offered by online casinos is something players look at before joining an online casino. Having accounts with many payment services is not always a good thing, as its best to have just one that you can use with all the online casinos you deal with. The best option would be to use one of the universal casino payment processors such as Neteller or Skrill. These two payment options are accepted at all online casinos for both withdrawals and deposits. A few of the other deposit methods offered include Bank Transfer, Click2Pay, Delta, ClickandBuy, Nordea, Paysafe, PostePay, ECO, GiroPay, GluePay, IDEAL, POLI and Credit Cards. When requesting withdrawals, you’ll have to wait about ten days to see the funds in your account. Since the casino is powered by the Microgaming casino platform, they accept many different currencies, apart from the US Dollar. The currencies the casino accepts are Australian Dollars, Canadian Dollars, Euros, Russian Ruble, Brazilian Real, Denmark Krone, Norwegian Kronor, UK Pounds and New Zealand Dollars. 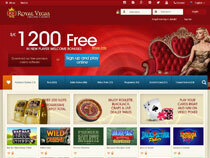 Both South Africa and United States remain restricted to play at the Royal Vegas Casino. As for the languages offered, Microgaming has made it easier for those who speak French, Dutch, Greek, German, Italian, English, Spanish and Portuguese. The casino is currently operated by the Fortune Lounge Group, which also operates many other Microgaming casinos.